Serving: Omaha Nebraska NE and beyond. 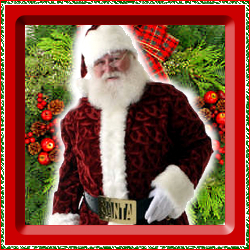 Santa Claus can appear at your Holiday Event this season – just call and schedule Santa today for your next Christmas Party, Home Christmas Visit, Company Gathering, Corporate Party, Parade, Photo sitting, or other special event. This Omaha Santa is ready to bring memories to your children and grandchildren, and everyone else who needs a little St Nick cheer.